Are you looking for a room, studio, apartment or a single family home in The Hague? RegionApartments.com is helping you in finding the required housing in any of the 65 cities in The Netherlands where we are active. Due to our great experience in the housing market and due to our collaboration with more than 200 connected estate agents in the Netherlands we are able to find your prospective house for the best price and conditions. The Hague is both a city and a municipality located in the west of the Netherlands. It is one of the most popular places to visit in the country since it is where the seat of government is located; it is also the capital city of the province of South Holland. Although the city is modern and very accommodating, there are only about 500,000 inhabitants. According to the last census done in November 2012, it is the third largest city in the country. Den Haag or The Hague is where you will find almost all government offices. You will find the seat of the Dutch government as well as the parliament; the Supreme Court and the Council of State safely nestled in the confines of the city. There are also business districts, headquarters of international companies and foreign embassies located in The Hague which is why it was chosen to be one of the major cities to host the United Nations. This unique and amazing opportunity is enjoyed by only some of the most modern and cultural cities in the world like New York, Vienna, Geneva, Tokyo and Nairobi. They say that The Hague is one of the best cities in Netherlands where people can work, enjoy life and culture and where people can find posh and cool places to live in. It is not hard to jumpstart your career in the city; the backbone of The Hague is a service-oriented economy. Professionals come to the city in the form of civil servants and diplomats since there are quite a number of jobs offered by the government as well as international offices and businesses. Visit The Hague’s business district and you will find headquarters of various companies like APM Terminals, KPN, Aegon, NIBC Bank and PostNL. You will also find specialized shops and stylish shopping centers, hotels, recreational places and music venues. All the more reason to stay in beautiful The Hague. The city also oozes in culture. There are museums like the Mauritshuis where works of famous Dutch masters like Rembrandt, Vermeer and Potter are displayed. The cultural center of the city is the Scheveningen where you can find the Pathe Cinema and the Circustheater, a musical theatre where concerts and performances from popular artists are much-awaited. The first 360 degree IMAX cinema in Europe called the Omniversum is also located in this busy district. Possibly the most visited places in Scheveningen is the sea-front boulevard where one can find bars, restaurants and gambling salons; here is where night life mostly concentrates. The Hague shares most of its amenities with Rotterdam and one of these is Amsterdam Airport Schiphol which is accessible via rail from RandstadRail Line E and via an airport shuttle service. Living in The Hague is like being in a place where everything is within reach thanks to their efficient main railway stations Hollands Spoor and Centraal Station. There are also trams, buses and for tourists there are car rental services. Apartments in The Hague are the best way to live in this posh and modern city. You can find long term apartments in the best places in the city near business centers, commercial and recreational centers. These stylish yet practical living spaces are perfect for people starting their careers, for a couple and also for a family. Be sure to look for apartments with the best amenities and rates by comparing one property from another. 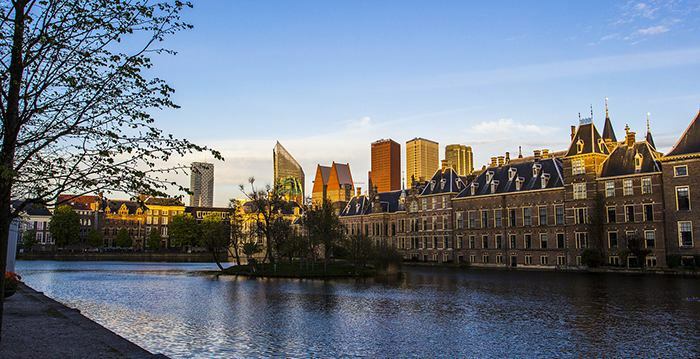 Living in The Hague is definitely one of the best choices you have ever had! Amsterdam, Rotterdam, Utrecht, Groningen, The Hague, Den Bosch, Nijmegen,Maastricht, Amersfoort, Hilversum, Hoofddorp, Leeuwarden, Delft, Eindhoven, Leiden, Amstelveen, Almere, Haarlem, Arnhem, Breda, Alkmaar, Enschede, Scheveningen, Wynajem mieszkań w Hadze, Kiralık mülkler Lahey .